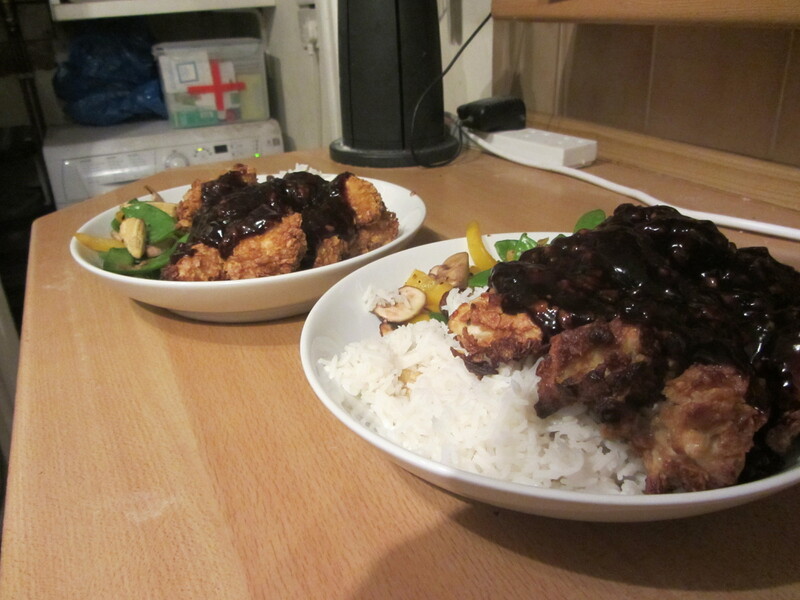 General Tso’s Chicken – Again! This is our favourite recipe from America’s Test Kitchen Comfort Food Makeovers. It really does taste like sweet and sour chicken balls, without all that deep frying and high-calorie ingredients. No changes from the previous times I’ve done this… so erm… here’s a picture of dinner!